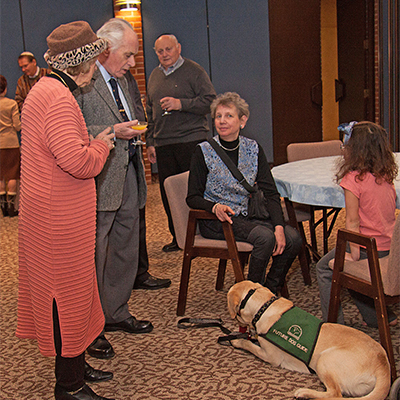 The Adult Education Committee of Temple Emanu-El presents a myriad of programs for adults on Wednesday and Sunday mornings, as well as Monday afternoons and special events. Check the monthly calendar on this web site for dates and times or call the Temple Office for detailed information. Torah Study - Discuss, debate and dispute - everyone and all perspectives welcome! No prior Torah study required. 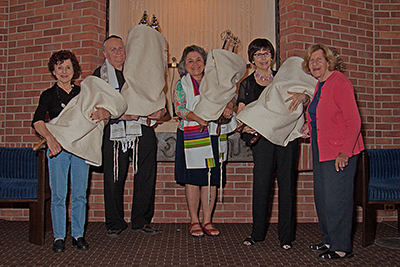 Shabbat mornings, 9:00 am beginning in October. Introduction to Hebrew - Alef Bet and Shalom Rav: Join one of our many fun and effective introductory Hebrew classes, designed for adult learners with or without any prior Hebrew studies. These small classes focus on siddur (prayer book) Hebrew and serve to increase Shabbat service familiarity. Scheduled on an on-going basis. 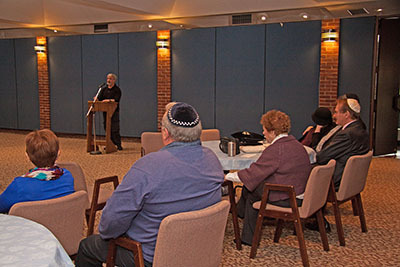 Torah Chanting and Service Honours - Learn how to chant Torah or to be comfortable accepting any honour in our service (such as a Torah aliyah or chanting the Haftarah blessings) in small classes. Dr. Daley holds a Ph.D. in Music from York University. He has taught undergraduate courses at several Ontario Universities and courses for seniors at U of T, Ryerson, George Brown and Glendon College. Leonard Cohen was one of Canada's greatest musical and literary artists. He had two remarkable careers. First as a celebrated poet and then as a singer and songwriter. This lecture will present his life story and the performance of some of his greatest songs. after themselves. Technology will help to shape the future of medicine and the individualization of care for some diseases such as cancer and Alzheimer's disease. Prof. Ribkoff is a Fine Art Advisor to some major corporations and private individuals. Her series on Art Deco and her series on Art Nouveau have both been featured at Hot Doc Curious Minds lecture series. Architects Lluis Domenech i Montaner and Antoni Gaudi ushered in the Modernista Movement by combining ancient Moorish and Spanish traditions with modern industrial materials. At this lecture we will view the elaborate Palau de la Musica Catalana, some decadent residences commissioned by Gaudi's great patron Eusebi Guell and connect with the divine in the Temple of the Sagrada Familia. Professor Plekanov also serves as Coordinator of the Post-Communist Studies Program at the Centre for International and Security Studies at York University. Neonationalism is a matter of serious global concern as it may lead to major wars and new authoritarianism and fascism. Neonationalism is also a natural reaction to the growing powerlessness of nation-states to deal with problems faced by the world. This lecture will address what can be done to prevent worst-case scenarios, contain the neonationalist wave and defuse the dangers it poses. Mr. Crabb is a Toronto-based arts journalist, broadcaster and lecturer. He has written about dance internationally for almost forty years. From spectacular movie musicals to "behind the scenes" dramatic features, dance has enjoyed an enduring place on the big screen. This lecture will include some of the most dazzling examples of dance at the movies. Please include your telephone number and e-mail address. In addition to the Lecture Series, there will be Thursday Books and Biscotti reviews. These events will be open to nonmembers at a cost of $10. Please let your friends know they are welcome. The biscotti (and other nibbles) will be on tables in the front lobby from 1-1:30; followed by a one-hour book review. Copies of the books (titles below) may be reserved, by members, through the Temple office.